Plaza Leyenda is a Class A office/medical condominium complex comprised of 10 buildings (six single-story and four, two-story). Distinctive design including exterior stone columns, custom contemporary rock water features, serene courtyard with sitting area and raised landscaping wall, and copper accented lighting features offering maximum security with a professional ambiance. 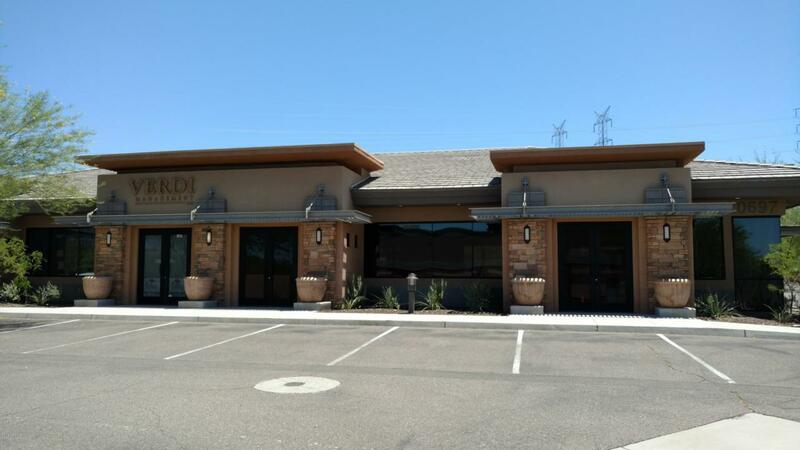 Located in North Scottsdale, only three and a half miles to the Loop 101 and within minutes to Mayo Clinic and Scottsdale Healthcare. Space May Come Fully Furnished. Available ASAP.Listing Agent is a licensed Real Estate Broker. Listing courtesy of Verdi Management.